The African Swine Fever has been on the rise in Poland for the past five years. 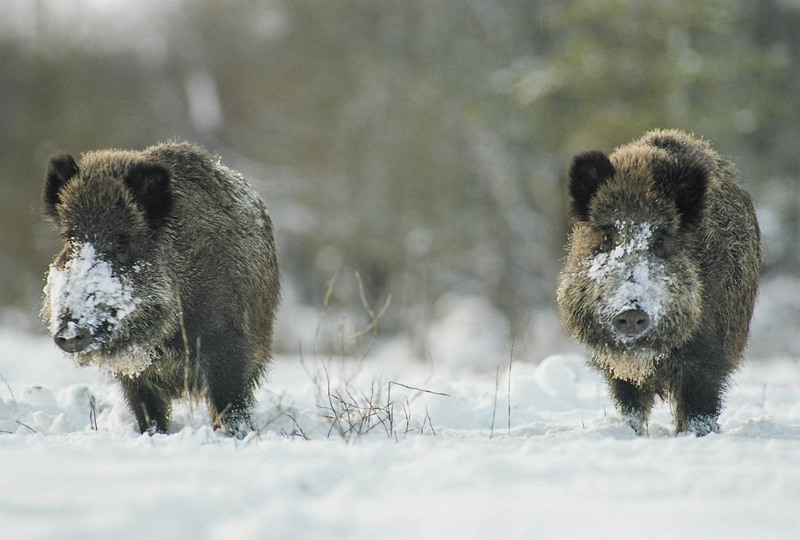 To tackle the spreading disease the Polish government ordered a series of hunts with the aim of killing the majority of the polish wild boar population. The country’s veterinary officials approved a plan to kill 185 000 animals of the 200 000 polish wild boars within this hunting season. According to the country’s PLZ hunting union 168 000 animals have already been killed since last April. It is impossible to kill all the wild boar in Poland, so the African Swine Fever will stay in the country. Furthermore, killing such a high number of wild boar will leave a significant gap in nature which would only attract wild boar from neighbouring countries. Consequently, the whole campaign is just pointless and brutal. Such a campaign might even foster the spreading of the virus to western Poland as the animals fleeing the shootings will try to resettle somewhere else. The biologist and conservationist Mikolaj Golachowski shares this concern. He further adds that reducing the wild boar population so drastically will significantly influence the country’s ecosystem in a negative way. The foraging of wild boars aerates the soil, which is necessary to germinate seeds. The animals furthermore feed on rodents and insect larvae controlling their population sizes. The ministry only recommends that the hunting associations coordinate the shooting of wild boar. If the shooting happens at different locations at different times it would only scare up the animals which would then leave the territory and spread the disease. The scheduled shooting is also criticised by the opposition. And not even the umbrella organisation of the farmer associations agrees with the government’s decision. Particularly, outrage follows the government’s call to also shoot pregnant females. A licensed hunter would get around €150 for such an animal, which is double the usual amount for an individual. Even the Polish president Andrzej Duda became involved and called on the hunters to at least spare the pregnant females. The disease is known to also spread by insects and is able to survive for several months in carcasses and meat. It is deadly to wild boar and pigs but does not infect humans. The most effective way to counter the spreading of the African swine fever is, according to numerous experts, to guarantee proper biosecurity measures. This includes special sterilised clothing and mats at the farms as well as high hygiene standards during transport. This has also been proven by a German study. As Poland is a leading exporter of pork products, the implementation of high standard biosecurity measures should be high priority of the country’s government. However, this prooves to be costly. So, by shooting thousands of innocent animals the polish governments wants to show the farmers that they are tackling the issue. A natural prey-predator relationship between wolves and wild boar would significantly limit the problem. These protests go together with the reactions that another recent statement of the Polish government triggered. The Polish General Director of the Environmental Protection recently announced the killing of 40 bison within 2019. The killings are reasoned with too large population sizes and some individuals are supposedly carrying diseases. Particularly noteworthy is that this action is taking place in the year of the 90th anniversary of the return of the European bison. Poland’s recent actions and decicions in environmental issues caused several international outcrirs. Last year the EU threatened the country with high fines in case the illegal logging of the protected Bialowieza forest. Hohe Tauern Wilderness – New Publication!